Restaurant turnover for the year increased by 0.8% to R722.1 million (2017: R716.1 million). Growth was negatively impacted by the discontinuation of our weekday specials and Kids Eat Free Sundays. This is in line with our change in discounting strategy away from excessive discounting. While discounting is attractive to some consumers in the tight economic environment, we maintain our focus on quality and customer experience. The pizza sector continues to be highly competitive. New operators are entering the market and rival brands continue to run heavily discounted specials, while increasing television marketing. Considering these tough trading conditions, we continued to focus on franchisee profitability by reducing labour costs and assisting franchisees with restructuring bank loans and negotiating rental reductions. Once again, menu engineering proved highly beneficial and food costs were consistent for most of the year. In addition, wood-fired ovens result in a cost saving to franchisees through reduced electricity usage, contributing to improved franchisee cash flow margins. 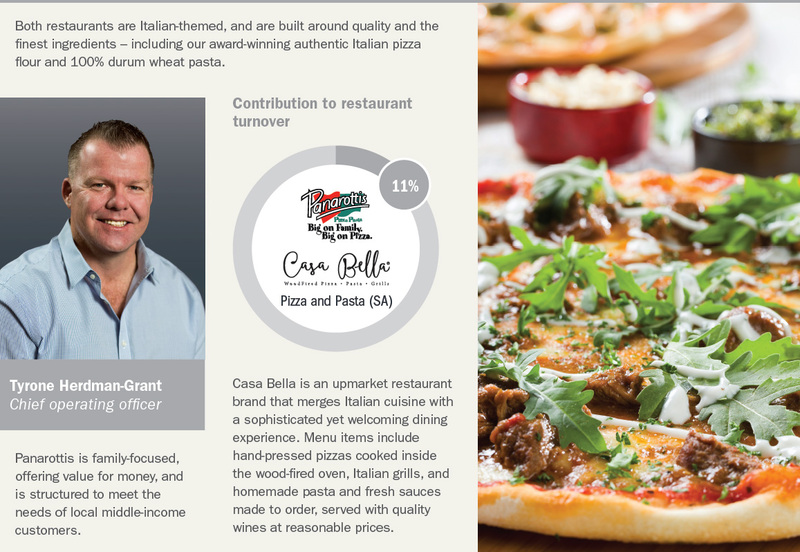 Our Panarottis Rewards loyalty programme continues to perform well. This is underscored by a healthy voucher redemption rate of 34.7%. Since inception, loyalty sales have grown to approximately R313 million, with an average spend of R263 per visit. 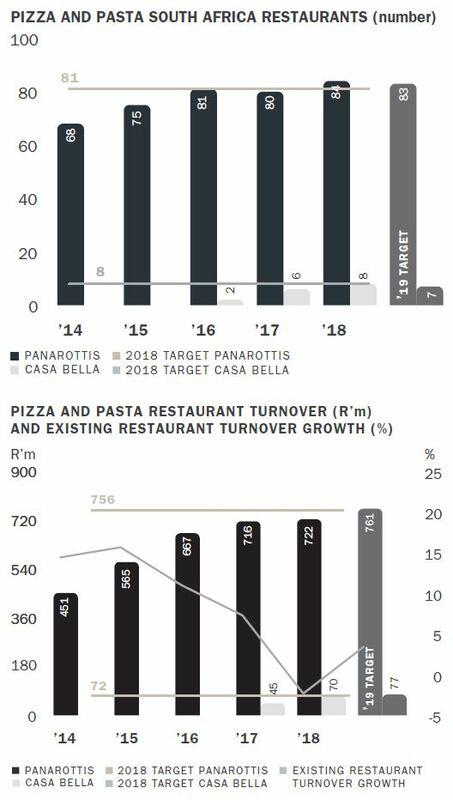 Panarottis Kids now comprises 101 410 children. Birthday redemptions increased to 11.4%. 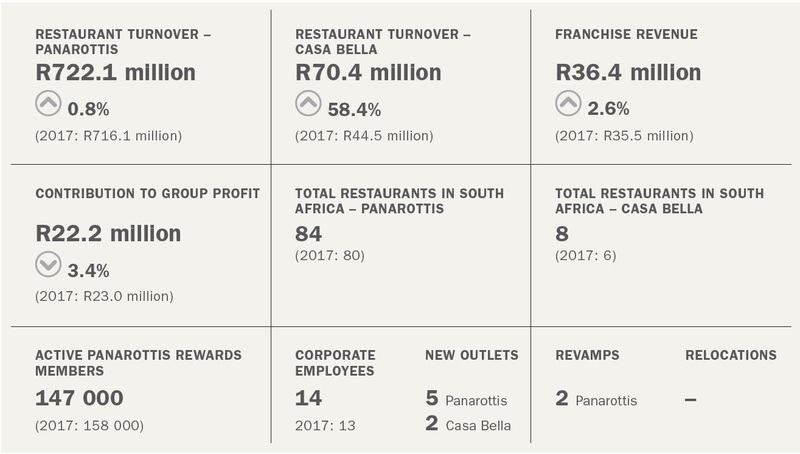 Restaurant turnover for the year grew by 58.4% to R70.4 million (2017: R44.5 million), benefitting by the opening of two new restaurants during the year. Since the launch of the brand in March 2016, we have invested significantly in improving operational systems and procedures, as well as boosting franchisee profitability. Menu engineering remains a focus to maintain food costs. For the second year in a row, we were awarded the Diners Club Wine List Award. In 2018, we were further awarded the Diners Club International Platinum Award. In the year ahead, we will continue to improve operational fundamentals, reduce labour and energy costs, and drive service and product innovation. 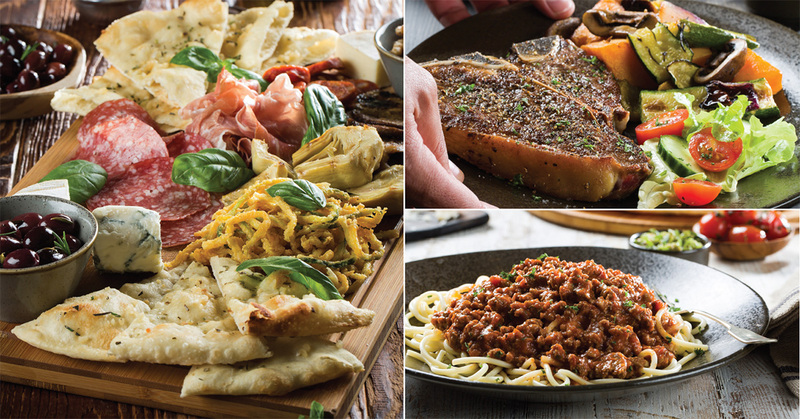 Furthermore, we are excited about the new look-and-feel Panarottis, including the revised logo and signage, uniforms, crockery, and the introduction of wood-fired ovens. A primary focus will be on restructuring poor-performing businesses to ensure they are sustainable through the current challenging economic times. Revamps will be prioritised where economically viable. Product quality will remain a critical brand pillar. This includes communicating a strong message to our customers of product provenance.